Sprinkler systems help stop fires and save lives. For many buildings, they are a necessity to stop a fire in its tracks. However, rules and regulations are changing, so it’s important to determine which associations need sprinklers and which don’t. A sprinkler system uses pressurized pipework and sprinkler heads. The pipes are hidden behind walls and in ceilings, while the sprinkler heads are exposed to release water in the event of a fire. The sprinkler head is equipped with a mechanism that breaks if the surrounding air gets hot enough (most commonly 160 degrees Fahrenheit). This allows water to spray and douse the fire. At the same time, the system signals an alarm to alert the fire department of the danger. Currently, multi-family buildings, such as high-rise buildings, are already required to have functioning fire sprinklers. These rules have been in place for decades, so nearly all multi-family buildings should already have sprinkler systems installed. If a community association is in a high-rise building or something similar, it’s important to check that the system is working properly, as it is required by law. Local and national codes, however, are changing. More and more laws are requiring that all communities of homes have properly working sprinkler systems, even those that are comprised of detached single-family homes. In fact, most structures built since 2009 have automatic fire sprinkler systems. Of course, having a sprinkler system isn’t enough. The system must be well maintained to ensure it remains in working order. For starters, managers or homeowners should perform an annual inspection of the sprinkler heads to look for signs of corrosion or damage. The solution inside the pipes must also be checked once a year to ensure it is not contaminated. The alarm devices for the sprinkler system should be tested more routinely at about four times a year. It’s also important to test the pressure gauges and to take a more in-depth look at the sprinkler heads; however, this is done less often. Once every five years, test the pressure gauges to ensure they are accurate; and once every ten years, send a sample of sprinkler heads to be analyzed in a laboratory. Most high-rise buildings already require sprinklers. However, even if an HOA is comprised of single-family detached units, it’s a good idea for the board to consider the installation process because of the evolving codes and regulations. 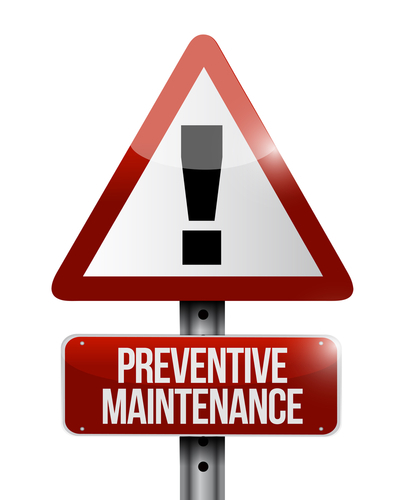 AssociationVoice can help you keep in contact with those residents about any maintenance that may be taking place. Click here for more information.